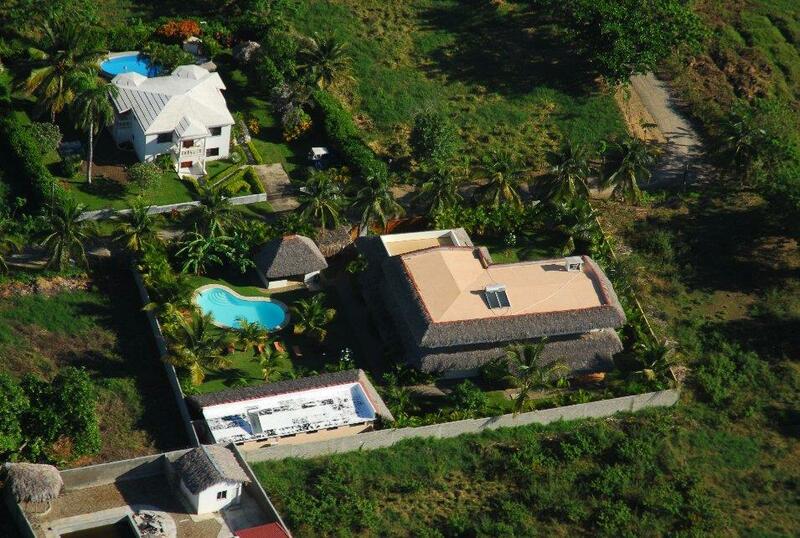 Hooked Cabarete, located in Cabarete, Dominican Republic, is all about surf, kite and relax. 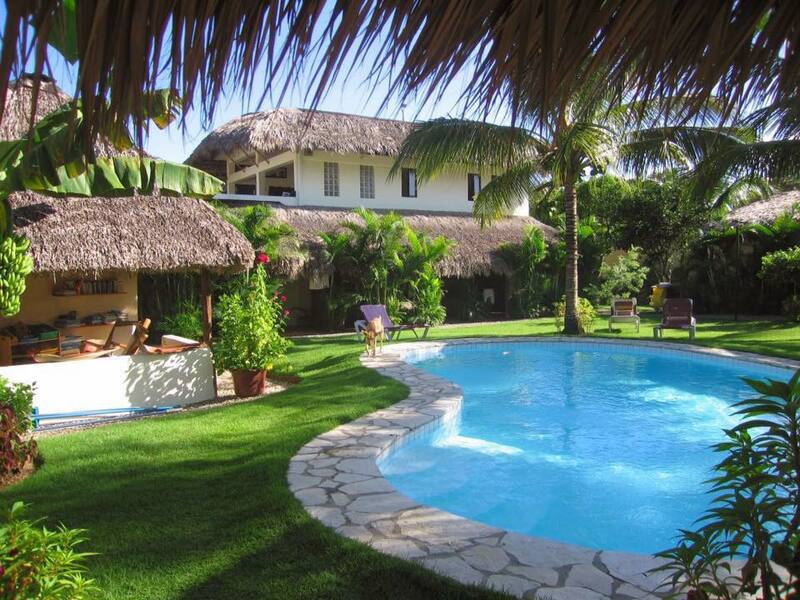 It is the accommodation closest to Playa Encuentro the best surf spot in the Caribbean and only 3 miles from Kite Beach. Surfers, kiters, and also people who just love our quiet, clean and safe place come to stay at our little paradise. 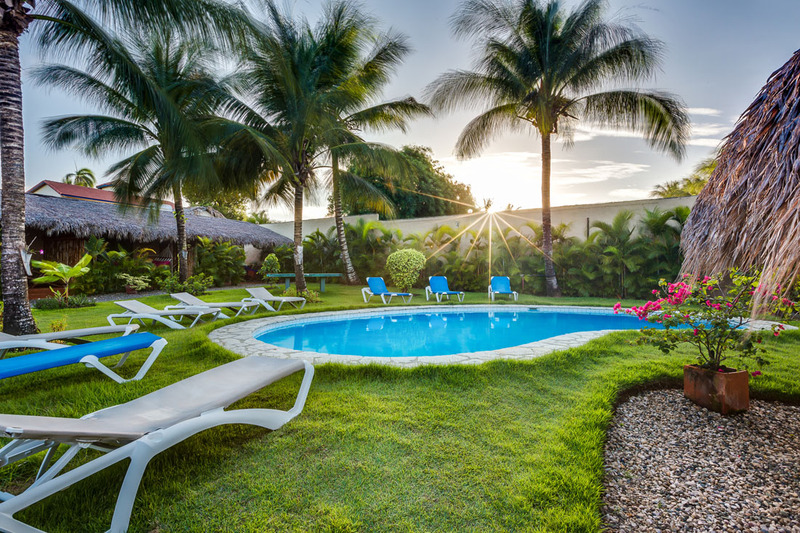 Our high quality apartments are suited for one, two, three or four persons with a kitchen, couch, bathroom, potable hot and cold water, private terrace with hammock, 24 hour electricity, and optional air-conditioning. 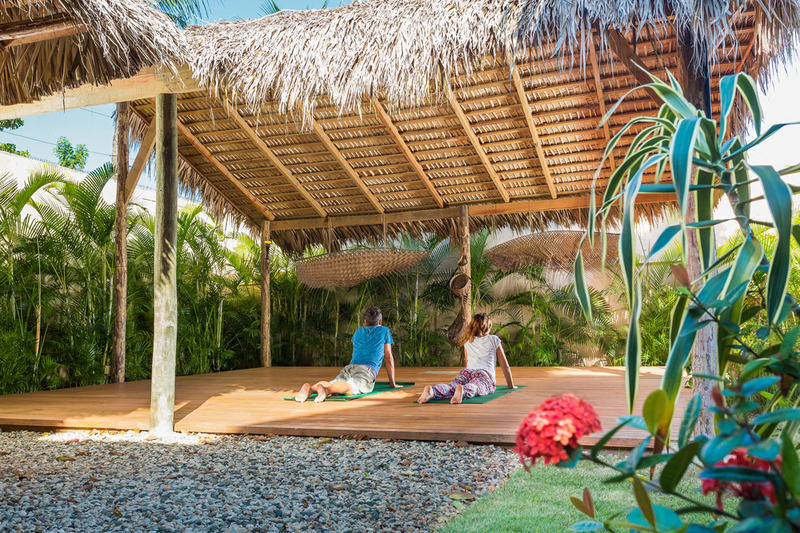 Our facilities include a swimming pool in the large, tropical garden, a BBQ grill, yoga platform and a free high speed internet connection. Hooked Cabarete is not only right next to the surf spot but also only a short ride from world class kite boardingand windsurfing conditions. Other activities include yoga, stand up paddling, wakeboarding, mountain biking, canyoning, kayaking, horse back riding, snokeling, diving, fishing, zip-lining, hiking and seasonal whale watching. Below you will find an overview of our prices. For more information head to Room Rates. If you have any more questions or want to make reservation please use the contact form.